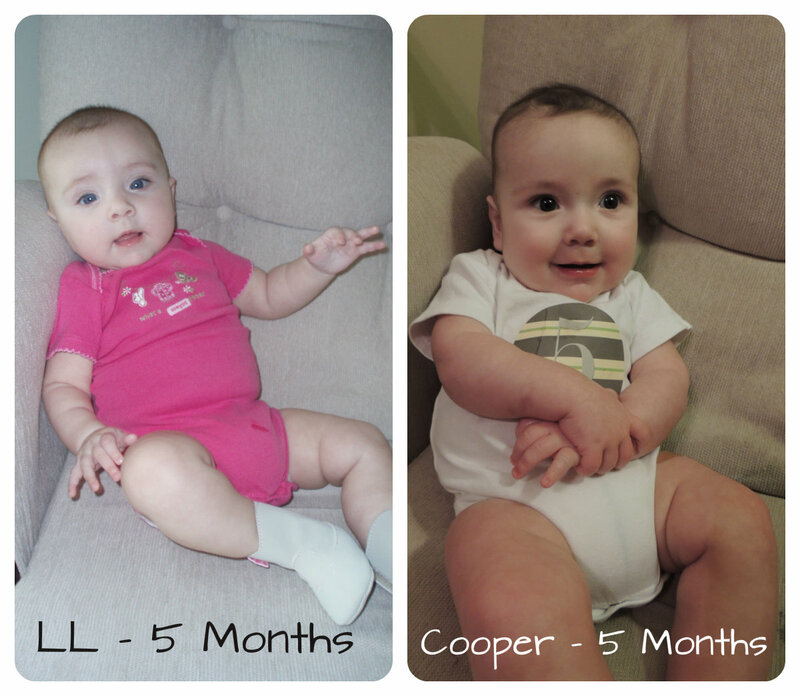 The Robyn's Nest: Cooper - 5 Months Old! I don't know how it happened, but another month has gone by! My sweet man is now 5 months old, and I am loving EVERY second of it! And here's how much he and LL look alike! look at him sitting so good!!!!!! He and LL look SO alike! He has really thinned out compared to his two month pictures. He is a doll! Makes me excited for a boy! Mrs. Mullican, he is too cute!!! I have been keeping up with him on Twitter. I am in the 8th grade now, and I still remember being in 6th grade with Mrs. Youngblood, Ms. Winfield, Ms. Daugharty, Mrs. Boyd, and you. I cannot wait to see you again! Blessings from your former student, Brandon Harris.